The Diocese of Haiti is an important part of The Episcopal Church. Please continue to pray for the people, clergy, and bishop of Haiti as we seek to follow the Spirit of the living God. Jou sa a 3 janvye 2019, 120yèm jou kanon nou an mandate kòm peryòd pou yo ranmase konsantman pou òdonasyon ak konsekrasyon Venerab Joseph Kerwin Delicat etan asistan Evèk ann Ayiti a rive. M ap ekri pou m fè n konnen majorite evèk ki gen jiridiksyon nan Legliz Episcopal La pa t dakò ak òdonasyon epi konsekrasyon Venerab la. Met sou sa, Komite ki an plas pou Dyosèz Ayiti a pa t founi okenn prèv konsantman majorite tout Komite ki an plas nan diferan dyosèz yo nan Legliz Episkopal La. Nan jou k ap vini yo m ap pale ak lòt lidè nan Dyosèz Ayiti a, epi ak lòt moun nan Legliz Episkopal La, pandan n ap chache ki pwochen etap ki pi bon pou nou kab vanse. Dyosèz Ayiti a se yon dyosèz ki enpòtan pou Legliz Episkopal La. Tanpri kontinye priye pou fidèl yo, pou klèje a, epi pou Evèk Ayiti a pandan nou ap chache suiv Lesprisen Bondye ki vivan an. ​Province II is currently embarking on new initiatives, focusing on rebuilding, rebranding, refocusing, and reimaging. There’s a newly formed Communications Committee taking a close look at social media, website, and other communications vehicles. In addition to revamping the Provincial website, the committee will be enhancing all social media activities for our Province including Facebook, Instagram, Twitter. Plus, keep your eye out for a new logo! Province II is making a concentrated effort to translate materials into the languages of our congregations. The Province is developing a list of volunteers who may be able to assist with translations services. Can you help us in this important work? Send a note to Neva Rae Fox at nevarae@aol.com – she welcomes all your help. ​Here’s an important note from Brian Romero: The Episcopal Church Executive Council’s Committee on Anti-Racism and Reconciliation offers a reminder that diocesan anti-racism/racial awareness training should utilize the framework and curriculum of Building Beloved Community. Here’s the link for more information on Building Beloved Community. https://www.episcopalchurch.org/beloved-community Questions – contact Brian at bromeromsw@gmail.com. 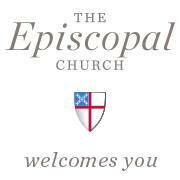 After a presentation to Executive Council on the Episcopal Church’s Becoming Beloved Community framework by the Rev. Stephanie Spellers, the presiding bishop’s canon for evangelism, reconciliation and creation care, Executive Council broke into groups to share their experiences and think about how they are called to work for racial healing. 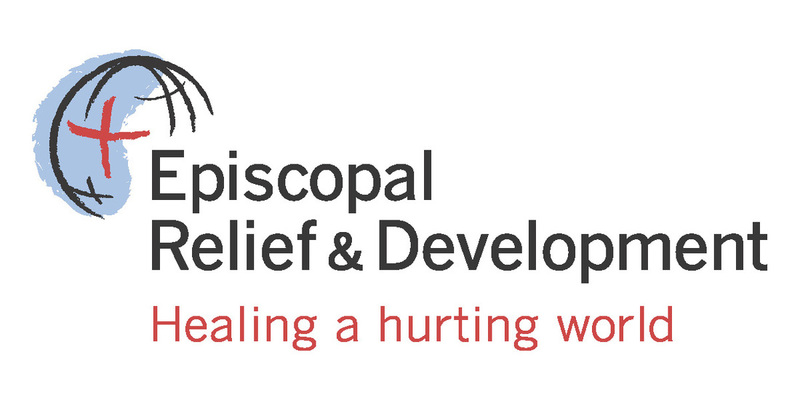 Spellers told the committee that the church has moved away from a past emphasis on “anti-racism” in favor of the language of racial healing, encouraging Episcopalians to interact graciously with each other without demonizing people for struggling with their own racism. Such a Christian approach can be applied beyond the work of racial reconciliation. Province II is excited to be preparing to welcome the Episcopal Church in Cuba to Province II, the International Atlantic Province. Below is the welcome letter sent by our president and vice president. Con gran alegría y regocijo celebramos la aprobación de la Convención General de la reunificación de Cuba con la Iglesia Episcopal de los Estados Unidos y, en particular, su discernimiento por medio de la oración para unirse a la Provincia II. La Reverenda Dahn Gandell es nuestro Presidenta, y la Reverendísima Obispa Dr. DeDe Duncan-Probe es la Vicepresidenta, y nos complace compartir con ustedes en apoyo mutuo y en el ministerio. Entendemos que esta reunificación no se completará hasta principios del 2019, por lo que si existe una manera en que podamos apoyarles en este momento de transición, sería un honor para nosotros hacerlo. Es importante saber que la Provincia II ahora está en un momento de evaluación sobre formas de ejercer el ministerio más efectivamente como provincia. Este trabajo ha necesitado conversaciones sobre el ministerio en estos tiempos y las formas potenciales por las que nuestro ministerio compartido se podría empoderar y expandir mediante el uso de una estructura provincial. Hasta ahora, este proceso de evaluación ha generado entusiasmo en nuestra provincia en tanto juntos soñamos sobre la nueva creación de Dios que está sucediendo en nuestras relaciones. Vemos que nuestro punto de partida es establecer y profundizar nuestras relaciones mutuas. En el transcurso de los próximos tres años, nos enfocaremos en que cada diócesis visite y forme relaciones con otra diócesis. Por lo tanto, su regreso a la Provincia II es un momento maravilloso para unirse a ella en el ministerio y esperamos colaborar con ustedes en este buen trabajo. Una vez que termine el proceso de reunificación, esperamos tener una conversación con ustedes sobre sus esperanzas para su ministerio como parte de toda la iglesia y dentro de nuestra provincia. Sepa que estamos comprometidos a honrar nuestro ministerio compartido y a descubrir más sobre el llamado de Dios que nos ha conducido hasta este momento. Nuevamente, estamos encantados de darle la bienvenida a la Provincia II y esperamos con interés esta jornada continua. Que la bendición de esperanza y paz de Dios sea con ustedes en este tiempo de transición. It is with great joy and much rejoicing that we celebrate General Convention’s approval of your reunification with The Episcopal Church and in particular, your prayerful discernment to join Province II. The Rev. Dahn Gandell serves as our President, and The Right Rev. Dr. DeDe Duncan-Probe serves as the Vice-President, and we are excited to share with you in mutual support and ministry. We understand this reunification will not be complete until early 2019, so if there is a way we might support you in this time of transition, it would be our honor to do so. It may be helpful to know that Province. 2 is now in a time of assessing ways in which to minister more effectively as a province. This work has necessitated conversations about ministry in this time and potentials ways in which our shared ministry might be empowered and expanded through the use of a provincial structure. So far this process of assessment has yielded an excitement in our province as we dream together about God’s new creation that is happening in our relationships. We see our starting place is to establish and deepen our mutual relationships. Over the course of the next three years we will be focusing on each diocese visiting and forming relationships with other diocese. So your return to Province II his is a wonderful time to join with Province 2 in ministry and we look forward to partnering with you in this good work. Once the process of reunification is finalized, we look forward to having a conversation with you about your hopes for your ministry as part of larger church and within our province. Please know we are committed to honoring our shared ministry and to discovering more about the call of God that has brought us to this time. Again, we are overjoyed to welcome you to Province II and we look forward to this continued journey.